Monday, December 7th, is Pearl Harbor Day. 74 years ago. Is there a lesson here in regards to health, and the lifetime need for regular, wellness chiropractic care? “”I feel good.” “I’m healthy.” “My back doesn’t hurt.” The common lame excuses for not getting adjusted. You might get lost sometimes, but you do know that what I do for you, straight Chiropractic, is NOT about pain. It is about liberating your nervous system, allowing your Innate Intelligence to express itself more fully. What does this mean in regards to a sudden attack, like Pearl Harbor. Well, if you read history correctly, Pearl Harbor was not so sudden. The signs were there, but our defenses and our overall attitude was slovenly. Just like most people with their health. They don’t see the squadrons of dive-bombers yet, but they are on their way. They don’t feel their heart giving out, their cancer developing, their rheumatoid arthritis coming, their mental powers deteriorating into Alzheimer’s. They feel “OK,” so they insist that this is the case. Most believe that when The Doctor pronounces them healthy, they’re totally in the clear. That’s what The Doctor told my father, who died from a heart attack, caused by his diabetes medication, at the age of 53. I didn’t know anything about Chiropractic then. I was in med school. No one told him that his nervous system runs his pancreas, and his heart, and that Chiropractic would have given his body an opportunity to heal. His idiot excuse-for-a-doctor even told him, “Don’t worry, Fred. Diabetes is the healthy man’s disease.” And you still believe these guys??? Like I was taught in 100 years ago in the Boy Scouts, “Be prepared.” My mantra to you is The pursuit of health is superior to the treatment of disease and injury.” So, pursue health. Eat right. Maintain a good mental attitude. Get adequate rest. Exercise regularly. 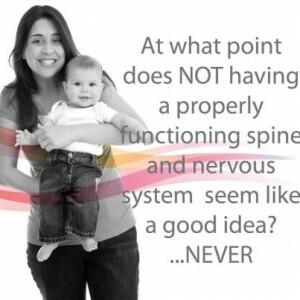 AND MOST IMPORTANTLY, be under regular, lifetime, wellness chiropractic care to keep your nervous system free! Don’t wait for the sound of the dive bombers. Don’t wait for the wail of the ambulance coming for you. Get adjusted!